Today's music business is clearly not like it was in its peak years of the 1980s. The never-ending flow of new digital technology combined with internet-based marketing and distribution have forever altered the playing field. These changes have created a new wave of independence that has led to opportunities for artists to have much more control over their careers. Gregory J. Gordon (CEO & Founder of Pyramind), along with Tess Taylor (President & Founder of The National Association of Recording Industry Professionals), Steffen Franz (President & Founder of The Independent Distribution Collective), and Paul Terry (President of Paul Terry And Associates, Management & Entrepreneurial Training for Social Enterprise) join forces to present a compelling and thought-provoking guide to the entrepreneurial nature of the music business. 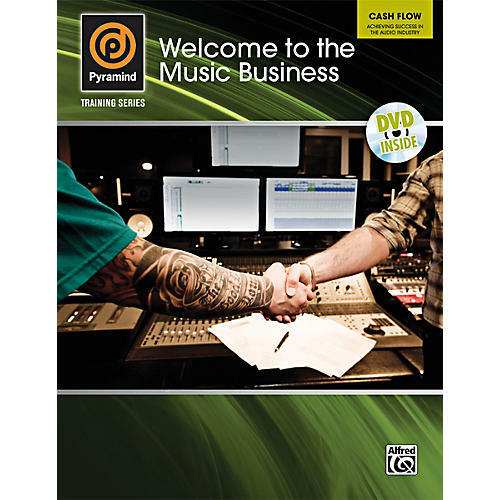 This is the third book in The Pyramind Training series, and it's accompanied by a DVD that contains a discussion with Steffen Franz and Gregory J. Gordon and supporting documentation for independent artists seeking to build their plan for success.